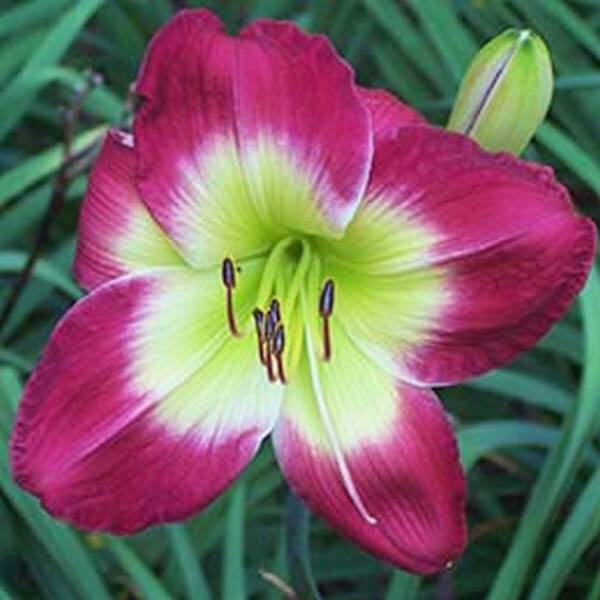 This is a wide open bright rosy red flower with a dominating lime green throat and a white halo accenting the throat. Hard to be missed, certainly the best red I have ever introduced. A good parent and fertile both ways, it is from a long line of red seedlings. A favorite at the 2013 Region 15 Summer Meeting.